On 26th October, the ceremony of the Industry Promotion Contributing Company Awards was held at a hotel in Ashikaga city. 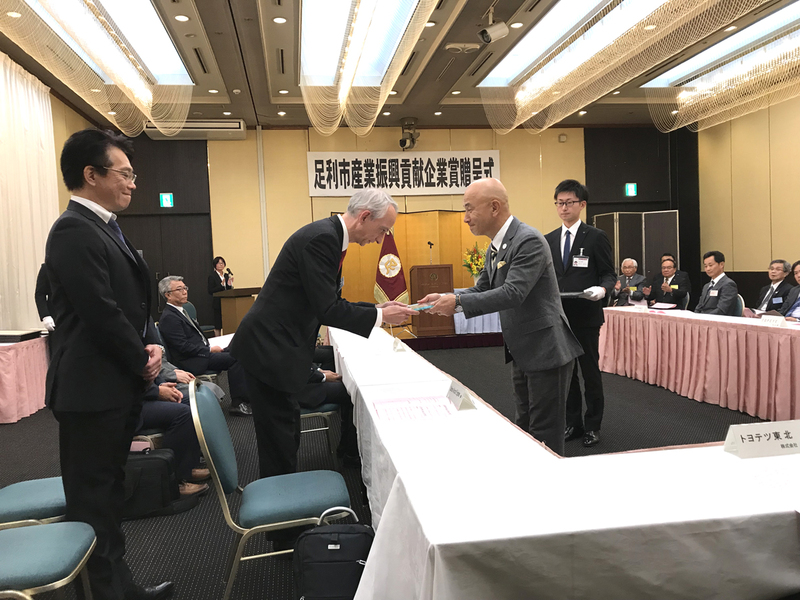 Safran Aircraft Engines, our main customer, was awarded as one of the eight awardees who are doing remarkable business with Ashikaga-based companies. We will continue our effort to expand our business and consequently contribute to local economy.